It's official: the full-fledged return of Alfa Romeo to the United States now has been delayed for 10 years. Fiat CEO Sergio Marchionne still says Alfa, which is owned by Fiat, will make its comeback in late 2012 -- which had been the plan since April 2010 -- but only for a few units of the limited-edition 4C coupe. A full return now isn't scheduled to happen before mid-2013, starting with a compact crossover. The mid-sized Giulia sedan could follow by the end of 2013 at the earliest. In 2002, the plan was put back a year because of delays in developing the Spider, and that began a series of holdups that continues to this day. What caused the latest delay? 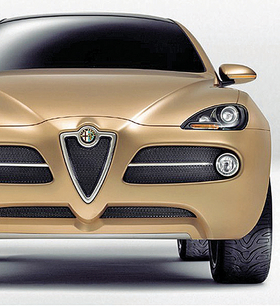 Marchionne has rejected the proposed styling for the sedan three times in the past 18 months. Technically, Alfa already is back. It has sold about 100 units of the limited-edition 8C models at U.S. Maserati dealerships. But when the sporty, Fiat-owned brand launches in the U.S. in force, it will be through U.S. Fiat dealerships that also get Alfa Romeo franchises.